Prime Minister Narendra Modi is set to inaugurate the flagship biennial Vibrant Gujarat Global Summit 2019 with a global trade show at Gandhinagar on Thursday. The three-day summit, starting Friday, will have global and Indian business leaders sharing the dais with Modi during the inaugural session, followed by closed-door meets. Apart from attracting investment, the summit has also evolved into a global trade- and knowledge-sharing platform, opening up business talks between countries, states, and corporations. This time, Modi will be hosting the heads of major global sovereign funds. Delegates from the international business chambers will be present for the first time. The global funds include International Finance Corporation, Pacific Investment Management Company, Vanguard from the US, Roadis (Spain), AviAlliance from Germany, Government Pension Investment Fund from Japan, Asian Infrastructure Investment Bank from China, British Columbia Investment Management Corporation, Public Sector Pension Investment Board, and Ontario Municipal Employees Retirement System from Canada, among others. Delegates from 27 global sovereign wealth and pension funds and institutions from Canada, the US, Europe, West Asia, and South Asian nations would also be meeting Modi during the summit. The meeting will be held as part of a round-table discussion on the inaugural day of the summit. Also, 52 international business chambers from 45 countries will be participating in the summit. 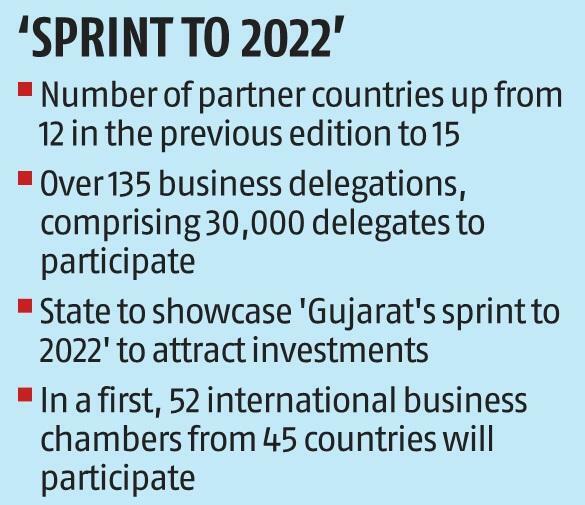 Around 115 delegations from various countries comprising 20,000 delegates and 26,380 companies have registered for the summit, said J N Singh, chief secretary, Gujarat. The success rate of the past summits cumulatively stands at 70 per cent, he said. Top global business leaders include Martin Brudermüller, chairman of the board of executive directors, BASF SE (Germany); Jeremy Weir, chief executive officer (CEO), Trafigura; Toshihiro Suzuki, president of Suzuki Motor; Sultan Ahmed bin Sulayem, group chairman and CEO of DP World, and David Farr, chairman and CEO, Emerson Electric, among others. The global business leaders will be accompanied by India Inc leaders such as Mukesh Ambani, chairman and managing director of Reliance Industries; Gautam Adani, chairman of Adani Group; N Chandrasekaran, chairman of Tata Sons; Kumar Mangalam Birla, chairman of Aditya Birla Group; Deepak Parekh, chairman of HDFC, and A M Naik, group executive chairman of Larsen & Toubro, among others. Meanwhile, the UK has opted out of the summit, citing “unsatisfactory commercial outcomes”. 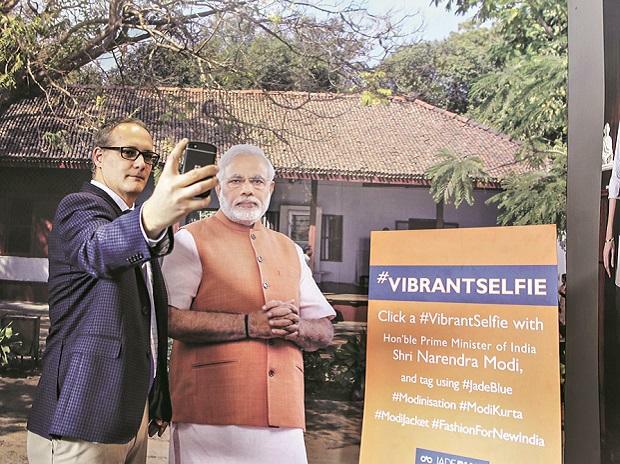 Prior to this, US Consul General Edgard D Kagan had said in December last year the US would not be a partner country in the summit till trade issues between the two countries were resolved. So far, 137 delegations, comprising over 30,000 delegates have registered. There are 15 partner countries, including Australia, Canada, France, Japan, South Africa, along with West Asian and European countries. A major emphasis is also being laid on attracting investments for the micro, small & medium enterprises sector, apart from pharma, defence, urban transportation, and textiles, among others.